Mohankumar specialises in Kundalini and Hatha Yoga and has a Post Graduate Diploma in Yoga from Annamalai University in India. He has also completed a Master Course in Kundalini Yoga and Meditation from the World Community Service Centre. 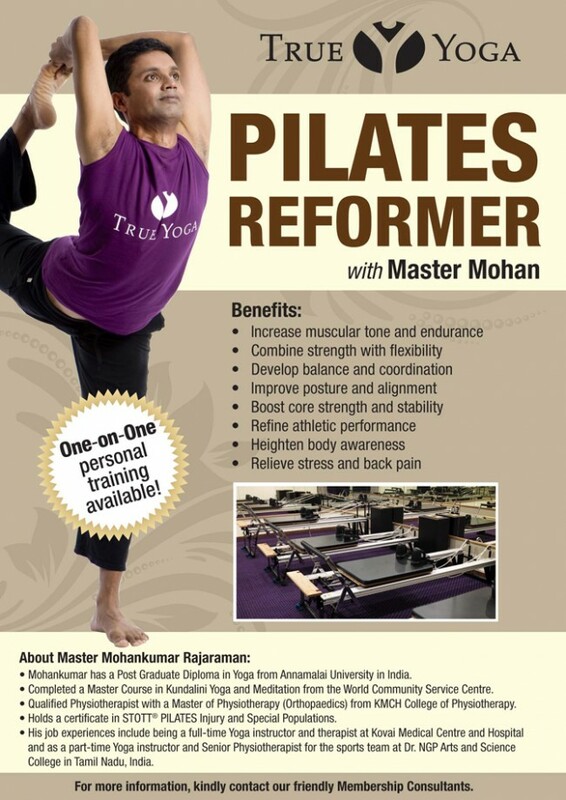 In addition to being a Yoga instructor, Mohankumar is a qualified Physiotherapist equipped with a Master of Physiotherapy (Orthopaedics) from KMCH College of Physiotherapy. His constant passion to improve and widen his practice skills saw the attainment of his certification in STOTT® PILATES Injury and Special Populations in Singapore. His job experiences include being a full-time Yoga instructor and therapist at the Kovai Medical Centre and Hospital and as a part-time Yoga instructor and Senior Physiotherapist for the sports team at Dr. NGP Arts and Science College in Tamil Nadu, India. Approach our Customer Service Officer at the reception to sign up today!